It’s great for a picture, and necessary for many boat rides, but it’s just not the place to hang out if you want to experience the real San Francisco. Fishermans Wharf isn’t quite Times Square, but it might as well be. Walk through it for a picturesque coastline walk to Crissy Field or Embarcadero, but don’t linger. They’ll know you’re from out of town if you do. Try SoMA, North Beach, Nob Hill and The Mission district instead. And yes, Golden Gate Park is glorious. “Walking a mile in my shoes” has different meaning in San Francisco. In many parts of the city such as Nob Hill or Presidio Heights, a few blocks is not – repeat – not a few blocks. Inclines in this beautiful city cannot be underestimated and can add considerable time to a journey. Be sure to use Google’s 3D mapping to see if you need to pad time into your schedule. You’ll get it when you get there. It’s California, the weather is always sunny – right? Wrong. San Francisco has a climate all to its own, which is part of the allure. While it may be tanning weather in Los Angeles in December, San Francisco will be just above freezing, and with an ocean breeze – it may feel freezing! It rains a lot too. But don’t let this put you off. It can be gorgeous and if you bring a solid rain coat and flexible clothes you’ll be ready for whatever the rapidly changing weather brings. PS, here’s how to pack your carry on. San Francisco is like the cherry on top of a beautiful ice cream sundae. If you want it all, no trip to the area is complete without venturing outside of San Francisco proper, and ideally, up to wine country. Whether you like fancy wine or not, the rolling hills of Napa and Sonoma are absolutely gorgeous and bring a new dimension to any trip, but even a short ferry ride to Sausalito will give new appreciation. And for any hard sells, wine country is one of the best spa destinations and Yosemite needs no introduction whatsoever. Pacific Coast Highway is without question one of the greatest drives on earth. It’s that good. Due to sad landslides and natural disasters in the state, it’s not quite what it once was though and it cannot be driven from North to South without detour. It’s crucial to check up to date info on where any and all bypasses are, or risk getting stuck on very windy roads after dark. This isn’t necessarily relegated to San Francisco, but since SF is the jumping off point for many of these trips, it’s important to mention. 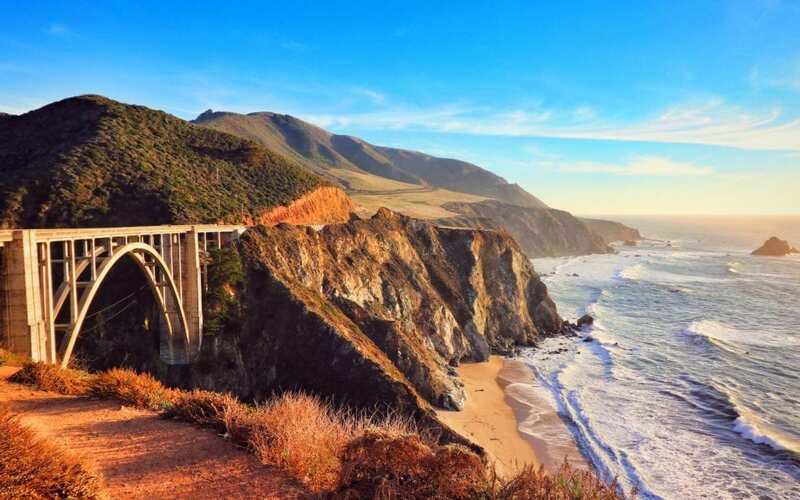 Bixby Bridge is one of the greatest things you’ll ever see, btw. To understand California cooking, you must understand the abundance of world class ingredients and where they come from. Ferry Building Farmers Market is a wonderful way to taste some of the best vegetables, meats, cheeses (and tacos) you’ll find anywhere. The Ferry Market Building is a beautiful place to walk around anyway, especially on a grey rainy day and the Slanted Door, connected to the ferry building serves outstanding Southeast Asian food. Go for lunch and be prepared to wait. Congrats, you nailed it! You got an amazing deal on your hotel and you’re staying smack dab in the middle of the action. There’s just one problem, if you rented a car, you can expect to fork out an additional $50 per day, and you can expect to wait a while to actually get your car each time you need it. San Francisco real estate is precious (like, crazy expensive) so parking is a premium. Try to only rent when you’re on your way out of town, or find a rate with parking included. You can pick up rental cars from many central locations just blocks from your hotel. What? No Fine Dining Or Drinking? This isn’t for everyone, but if you love food, San Francisco is pure heaven. The city offers a wild collection of Michelin starred restaurants and some of the world’s best bars. If you’re looking for a special meal, do your research and go for it. You don’t have to go crazy with the dining spend either. Many of the best, most up and coming chefs are looking to make a name for themselves and quite a few restaurants offer reasonable tasting menus. A few dependable recommendations for dinner or drinks can be found here. Have you committed a San Francisco tourist #fail? san franciscosan francisco tourist mistakessf tourist trapswhat do tourists do wrong in san francisco? I lived in SF for 15 years, and I disagree with you on a couple points — 1) You should definitely consider taking uber to/from the airport. It is usually only $25-$35 one-way from SFO to downtown. Otherwise, once the luggage is stored in your hotel room, BART is awesome. 2) It is rarely anywhere near freezing in San Francisco. It almost never drops below 42-43 F, so that is not “just above” freezing. Granted, it can be cold as hell when it is 55 and windy, especially if it is raining. Any guide that says go to Fisherman’s warf Is in serious trouble. No one who lives here goes there, we avoid it like the plague. Chrisy field is fine, there’s also baker beach and the bunkers for amazing views. It’s a city of hills so there are countless vista points scattered throughout. If you want to know SF you have to learn about the different neighborhoods and what they have to offer. Skip Chinatown and go to the inner Richmond, it’s the hidden Chinatown that all us locals go to. Skip Slanted door and eat amazing Vietnamese food for dirt cheap at Kevin’s noodle house in the sunset district or many other places. Sf is all about crazy good food for cheap as long as you know where to go. I’m a huge fan of your Website, but I think writing travel guides ( at least for SF) is veering off track a bit. As the author says, absolutely venture beyond Union Square and Fisherman’s Wharf. Chestnut Street and Union Street in the Marina District are two of my favorites, and make a great place for a snack or meal before or after walk along the bay at Crissy Field or The Palace of Fine Arts. Take Muni #30 or #30x bus to Chestnut St. and #45 or #41 to Union St. from downtown. Another great neighborhood to check out is Hayes Valley. Lots of shopping and great restaurants. Take Muni #21 bus. Finally, Fillmore Street between Sutter St. and Sacramento St. – again many great restaurants and close to Japantown. Take Muni #1, #2, or #3. Outside the City, head north! The author mentioned Sausalito, which is quite nice, but still very touristy and feels very much like Fisherman’s Wharf to me. I’d suggest visiting downtown Mill Valley, which is quite close by and surrounded by mountains and redwood forests. My wife and I got married at The Outdoor Art Club, which is beautiful and worth seeing (not biased here at all!). Additionally, the town of Tiburon is a short drive away and on the water. It’s a quieter version of Sausalito – minus the tourists. In the area, Marin Country Mart is also worth a visit for shopping/dining, and China Camp State Park is a great loop drive a bit further north with gorgeous bay views. Near China Camp is the Marin Civic Center, which was famous architect Frank Lloyd Wright’s last building and a gorgeous example of his later work. Transit is harder here, but look into Golden Gate Transit for bus service to these areas. You can also take the ferry from San Francisco to Tiburon or Larkspur (near Marin Country Mart). I went to San Francisco twice for Macworld (1997 and 2000) when I lived in Southern California and I couldn’t believe how dirty the city was. Homeless everywhere which was also surprising. Literally getting assaulted right outside my hotel which was a few blocks from Moscone Center. Had heard how great San Francisco was to visit and it was a real let down. Obviously that was many years ago so I don’t know if things have improved since then or not. I totally underestimated the distances… And we ended up walking from Union Square to the Golden Gate Bridge via Lombard Street… We got the bus back! I love California, especially because it has some great restaurants. My favorite one is China Town whose menu cover authentic Chinese delicacies.